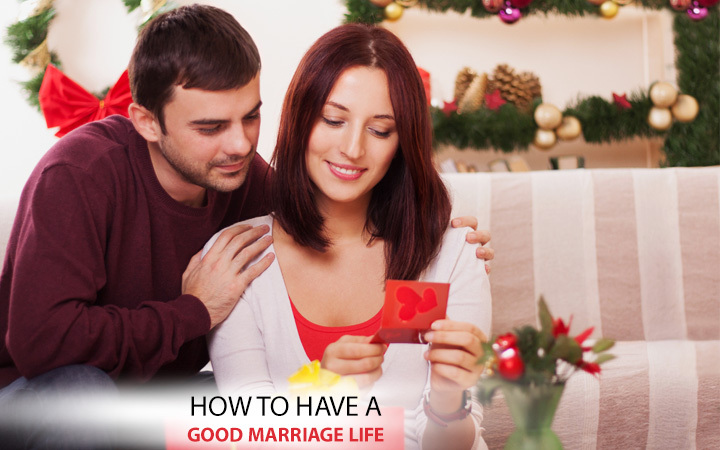 Are you getting married soon and are looking for tips on how to have a good marriage life? The fact is marriage is not just a ceremony,but it is a bond that lasts a lifetime, with love and harmony. To help you ensure that you have a beautiful and happy married life, here are some time-tested tips to bring in happiness. Listen to each other: This is the most important aspect of the relationship. Be honest and communicate properly so that there are no misunderstandings. Practice forgiveness: Mistakes are possible but it takes a big heart and love to forgive your spouse. Nagging about the mistakes or harping on them does not build a cohesive relationship. Be selfless: Don’t put yourself first in the relationship. Think about everything as a couple. There is no ‘me’ or ‘you’ in a marriage. It is about ‘us’. Not always equal: Sometimes it might feel that you are the one doing everything while the next week, your husband/wife might be the one carrying most of the load. Be there for each other. Don’t keep a track of what you did or your spouse didn’t do. Close off technology: Don’t be connected all the time. Close off the smartphone/iPad and even the television. Sit and discuss each other’s day. Talk about mundane things and be interested in daily happenings. Show affection: This is another important aspect of the relationship. It does not have to culminate in intimacy all the time, but just hugging and cuddling can be stress-busters. Eat, pray and laugh together: The family that eats and laughs together, stays together is an old adage. When you do things together as a family, you enjoy it more. Pray together, it brings you closer. When you implement these tips in your life, not only will your marriage be stronger but there will be love, laughter and harmony which will bring in happiness.